According to current guidance from the National Science Foundation, they will continue to accept proposals following their published deadlines. With this guidance, Emory’s Office of Research Administration recommends faculty applying for NSF grants should continue with submissions through their proposal submission system, and with an expectation that posted deadlines should be met. Faculty with questions may contact their RAS pre-award staff member or OSP representative. Find all OSP Grants Representatives for each department here. RAS pre-award administrators can be found through the RAS online tool. Emory University is monitoring the partial government shutdown. The Office of Government and Community Affairs (OGCA) is in close contact with the Georgia congressional delegation, explaining the local impact and urging a resolution. An estimated 145 Emory faculty are affected, in some way, by the current funding impasse. President Trump continues to advocate for a wall along the U.S.-Mexico border. He has stated that he will not sign any more fiscal year (FY) 2019 spending bills that do not include funding for it. Negotiations with House Speaker Nancy Pelosi and Senate Minority Leader Chuck Schumer, to end the partial government shutdown impacting nine federal agencies, have stalled. This week, House Democrats are advancing individual FY2019 spending bills that were passed by the Senate during the last Congress. For example, the Democratic-led House approved a bill Jan. 9 to reopen the Treasury Department, Internal Revenue Service and Small Business Administration. Despite several Republican Senators calling for an end to the shutdown, it is unlikely that the Senate Republican leadership will take up the House-passed spending bills, given the lack of funding for the border wall. If an agreement cannot be reached with Democrats to reopen the government, the president has floated the option of declaring a national emergency to build the border wall, a move that would set up a potential clash with Republicans on Capitol Hill. Emory receives numerous research grants from the federal government in support of medical and scientific advancement and scientific training. In 2018, Emory received $440.8 million in federal research grants. The majority of Emory’s federal research grants comes from the National Institutes of Health (NIH), but grants also are awarded by the National Science Foundation (NSF), the Centers for Disease Control and Prevention (CDC) and other agencies. Funding from the NIH and CDC, which are supported by the Department of Health and Human Services, is not impacted by the partial government shutdown, as those agencies have already received their annual appropriation. Student financial aid is also not affected, as Department of Education funding has already passed for FY2019. 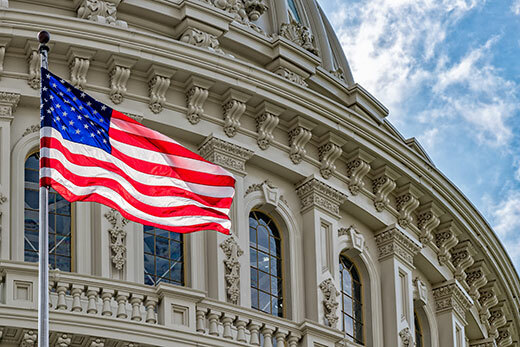 Other agencies, however, including the NSF, the National Endowment for the Humanities, the National Aeronautics and Space Administration, and the Department of Agriculture have not yet been funded for the remainder of FY2019. Current data indicates Emory has 106 active grants impacted by the shutdown, notes Deborah W. Bruner, senior vice president for research. Factoring in all of the agencies impacted by the shutdown, the average cost is $1.1 million per month. While faculty researchers with current awards can continue to work on their funded projects, the following cannot move forward during the shutdown: new proposal submissions to these agencies, withdrawal of grant funds, meetings to review research proposals, or awarding new grants. The National Science Foundation has posted further information: Information about the Government Shutdown for NSF Proposers and Grantees. “Scientific work is imperiled when the flow of federal funding is halted. Every day that data cannot be collected and analyzed, researchers are not able to make advances that improve lives in our communities. There is a toll, not only on the work itself, but the morale of those impacted and the recruitment of future scientists,” notes Cameron Taylor, Emory’s vice president of government and community affairs. Taylor says that the OGCA team will continue to monitor the situation, remain in close contact with the Georgia congressional delegation, and keep the university community updated accordingly.